motorcyclist are liable to early death- Dr Temitope – Royal Times of Nigeria. Dr Temitope Sumangu has charged all motorcyclist to be extremely cautious of the health risk without the necessary protective helmet and spectacles . 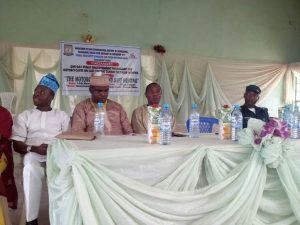 Dr Temitope who disclose this during a one day public enlightenment programme for motorcyclist on safe driving during ember months by the Mass communication department of Kwara state university said that prolong driving of motorcyclist could cause blindness and death if they fail to use the necessary protective instruments. Dr Temitope also explained that most cyclist are high exposed to health risk and hazard because of the nature of their work and daily task. He therefore admonish them to alway visit the hospital to check themselves from time to time. Kwara State Road Traffic Management Authority (KWARTMA) Official ,Mr Abdul Oba who was at event debunked the general view that Satan and Devil are responsible for the concurrent accident during ember months. he explained that that poor maintenance and personal addictive influence on drug and Alcohol are primarily responsible . 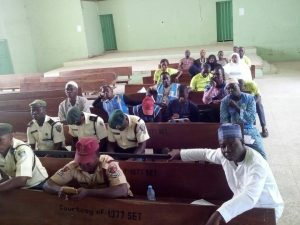 He therefore appealed to motorists especially commercial drivers to avoid over-speeding, overloading, use of cell phones while driving, among other anti-road safety activities. 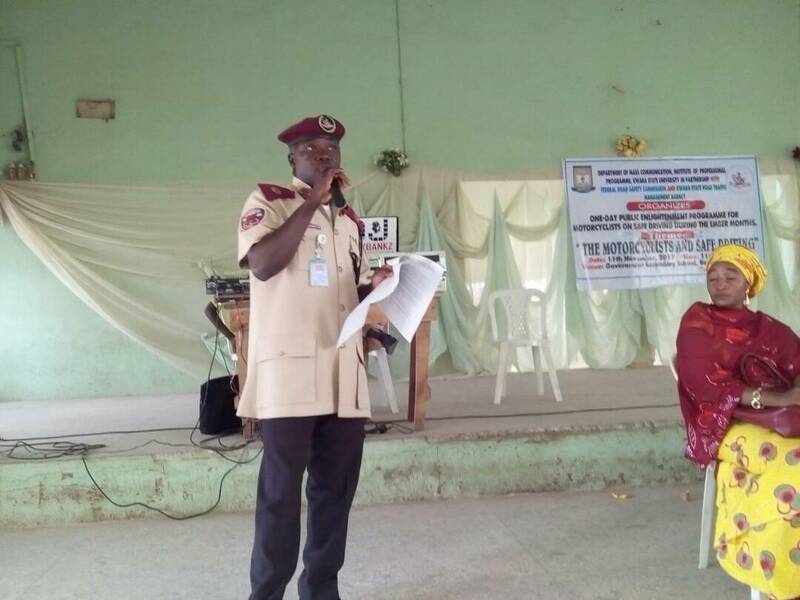 the kwara state FRSC Sector Commander, Mr. Sunday said while giving his speech accused commercial motorcyclists of not obeying necessary road safety regulations which has lead to several accidents. He also urged the road users, especially commercial motorcyclists on the importance of making safe decisions on local roads. Mr. Sunday also frowned at non-wearing of helmets by the commercial motorcyclists as the act amounted to negotiating their safety on the roads as well as compromising the safety of other road users.